Origins Drink Up Intensive Overnight Mask - 100ml - $31.00 - use overnight to replenish skin - contains avocado and apricot kernel oil to instantly quench skin with deeply satisfying moisture while Japanese seaweed helps repair skin’s barrier to prevent future moisture loss. Skin awakens refreshed, replenished and ready to face the day. 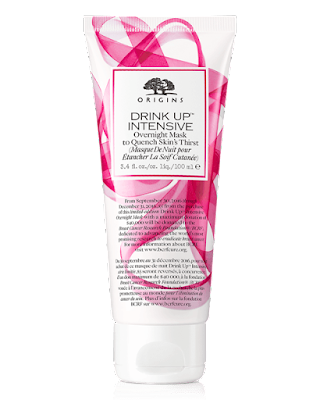 In support of The Estée Lauder Companies’ BCA Campaign, Origins will donate $5.00 from the purchase price of each Drink Up Intensive Overnight Mask, with a maximum donation of $40,000, to the Breast Cancer Research Foundation. Available now at Hudson’s Bay, Sephora, select Shoppers Drug Mart stores and online at www.origins.ca until December 31st or while supplies last. Fresh Sugar Cream Lip Treatment - with swatches! #MakeItMassive with TIGI Bed Head Fully Loaded! Needful Things - Goody Clean Radiance Brushes! Dermablend - blend in to stand out! Brighten and protect skin with Garnier and Avene!